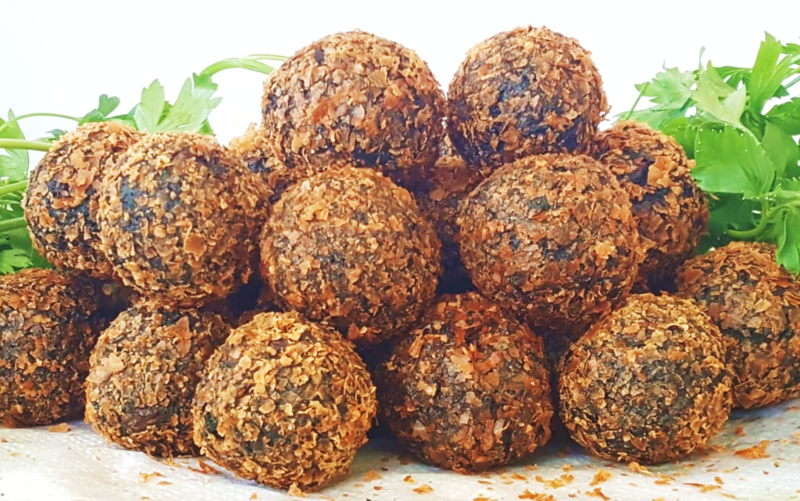 An ecologically friendly and nutritious microalgae that used to be a daily food source for the Aztecs in central Mexico could be making its way to Western tables in the form of a new kind of protein-rich falafel, the delicious Middle Eastern deep-fried chickpea balls. 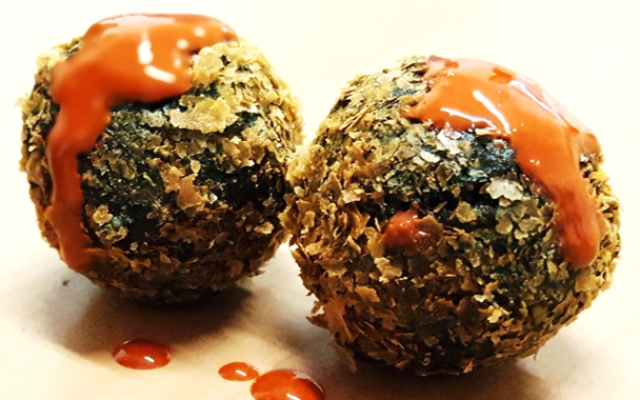 Graduate students at the Biotechnology and Food Engineering Faculty at Israel’s Technion-Israel Institute of Technology have developed what they call the Algalafel, a new kind of falafel that enriches the traditional ingredients with spirulina — a biomass of blue-green algae which in its dried form contains about 60 percent protein and is seen as a solution for food insecurity and malnutrition. 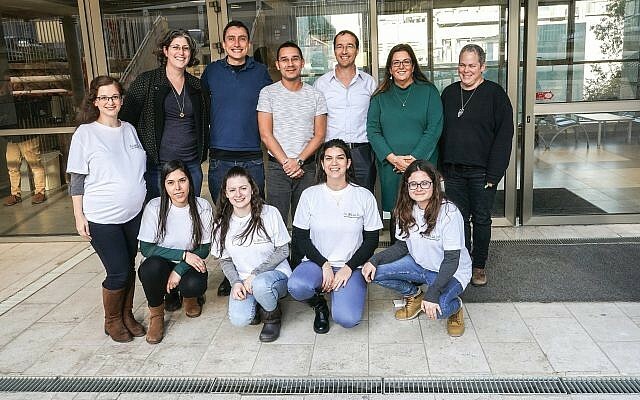 The students nabbed first prize in the EIT Food Project (European Knowledge and Innovation Community) as part of an innovative microalgae product development competition, held in early December at the Technion. EIT Food is a pan-European consortium that focuses on promoting innovation and entrepreneurship in the food sector. “It tasted very good, almost identical to regular falafel,” said Prof. Yoav Livney, the project leader. Dried spirulina contains also 5% water, 24% carbohydrates, and 8% fat. Its cultivation uses much less land and water to produce protein and energy than do cattle or poultry. For their new kind of falafel, the graduates, who worked on their product for a year, added a tahini that was enriched with astaxanthin, an anti-oxidant found naturally in certain algae and seafood that is known for giving salmon its reddish color and flamingo feathers their pink hue. Growing cows for meat has been found to have one of the largest negative impacts on the global environment, and reducing meat consumption is necessary to cut gas emissions and avoid climate change, a study in the journal Nature showed. Some 56 billion animals — cows, lamb and poultry — are slaughtered every year to feed the world, where consumption of meat is set to grow 70% by 2050, according to the Food and Agriculture Organization of the United Nations, as middle classes in Asia and Africa join the trend. Plant and algae-based – rather than animal-based – proteins are seen as a solution that could be both inexpensive and produced quickly in a relatively small space, without contributing to global warming. In 1974 the World Health Organization described spirulina as “an interesting food for multiple reasons, rich in iron and protein” that can be fed to children without any risk. The students were mentored by Prof. Maya Davidovich-Pinhas, Prof. Uri Lesmes, Prof. Avi Shpigelman and the project leader Livney. The Technion team consisted of Meital Kazir, Yarden Abuhassira-Cohen, Hani Shkolnikov, Hila Tarazi and Ina Nephomnyshy. The product developed by the students is “getting a lot of interest” from a variety of parties eager to commercialize it, said Livney in a phone interview. The idea would be to bring a protein-rich falafel to the market possibly in a ready-to-eat frozen form, he said. The Technion, however, does not allow students to work on commercializing their products while still on scholarship, he said. Second prize was awarded to a team of students from the German University of Hohenheim in Stuttgart who developed Algini, a lentil-based vegan product enriched with spirulina. In third place were students from Finland’s Helsinki University who created Spurtti, a vegan oatmeal dessert enriched with spirulina. Acute pain? Try this amazing new patch and voila! Instant relief! The SA Israel Chamber of Commerce was founded in 1978 and restructured in 1999. With more than 170 corporate members on board, and growing, it is known as the only Chamber of Commerce which promotes business and investment between Israel and South Africa. The SA Israel Chamber of Commerce.